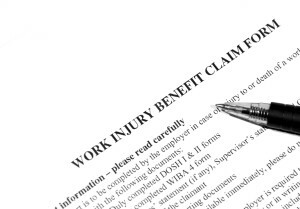 What happens when you are injured on-the-job and want to receive workers’ compensation benefits? What steps should you take regarding your employer and what responsibilities do they have to take on their own? There are some steps that you must take yourself – for instance, when you are injured, the first thing you should do is report the injury or illness to your employer. This will make it into a report that will come into handy later as well as avoiding problems with delays in your benefits. After your emergency treatment occurs at the emergency room, your employer will be required to provide you with medical care. What penalties should I be aware of? A notice of compliance should be posted at each job site that is easy for employers to find. Emergency medical treatment should be provided for employers who sustain these injuries. If an injured worker is unable to select a doctor, then other medical attention should be provided. A report of the injury should be conducted and sent off to the nearest workers’ compensation board office. An employer absolutely needs to make an injury report under law standards. Employers must comply with all requests for further information regarding injured workers by the workers’ compensation board or the insurance company. This includes all statements of the employee’s earnings before and after the accident, reports of the date of the employee’s return to work, or other reports that may be required to determine the employee’s work status following the injury. Can an employer retaliate if I file a claim? This is never okay for an employer to due. Workers’ compensation benefits not only help employees, but also protect employers since they keep the ordeal out of the courthouse. With this being said, sometimes an employer will illegally be discriminatory against an employer when they file for benefits. There is protection against employers who do this. It is always prohibited for an employer to discriminate against, harass, unjustly terminate, punish, or discharge an employee just because they have exercised rights and filed a claim. If an employee believes that exercising these rights has gotten them fired or discriminated against, they can bring a claim against an employer for something known as a retaliatory discharge. The employee must be able to convince a judge that it was more likely than not that the employee was wrongfully terminated. Retaliation can be seen in as little as things like demotion or salary reduction. Now you can find out what you can do if you have to file a claim by contacting RAWA. We have experience dealing with workers’ compensation laws and can help you get the compensation that you deserve. Find out what to do today by giving us a call, and choose an attorney that will fight for your rights!